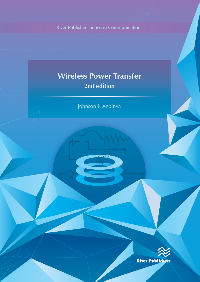 Wireless Power Transfer is the second edition of a well received first book, which published in 2012. It represents the state-of-the-art at the time of writing, and addresses a unique subject of great international interest in terms of research. Most of the chapters are contributed by the main author, though as in the first edition several chapters are contributed by other authors. The authors of the various chapters are experts in their own right on the specific topics within wireless energy transfer. Compared to the first edition, this new edition is more comprehensive in terms of the concepts discussed, and the range of current industrial applications which are presented, such as those of magnetic induction. From the eleven chapters of the first edtion, this second edition has expanded to twenty chapters. More chapters on the theoretical foundations and applications have been included. This new edition also contains chapters which deal with techniques for reducing power losses in wireless power transfer systems. In this regard, specific chapters discuss impedance matching methods, frequency splitting and how to deploy systems based on frequency splitting. A new chapter on multi-dimensional wireless power transfer has also been added. The design of wireless power transfer systems based on bandpass filtering approach has been included, in addition to the two techniques using couple mode theory and electronic circuits. The book has retained chapters on how to increase efficiency of power conversion and induction, and also how to control the power systems. Furthermore, detailed techniques for power relay, including applications, which were also discussed in the first edition, have been updated and kept. The book is written in a progressive manner, with a knowledge of the first chapters making it easier to understand the later chapters. Most of the underlying theories covered in the book are clearly relevant to inductive near field communications, robotic control, robotic propulsion techniques, induction heating and cooking and a range of mechatronic systems. Wireless Power Transfer, Magnetic Induction, Coupled Mode Theory, Energy Transfer, Impedance Matching Circuits, Magnetic Resonant Coupling, Inductive Energy Coupling, Body Area Network Channel, Microwave Propagation, Radio Frequencies through Tissue, Directional Tuning/Detuning Control, Robotic Control, Mechatronic Systems.